Prime Minister Justin Trudeau rose to power last fall on a pledge not to purchase the defective F-35, an aircraft that he has said “does not work,” is too expensive, and is wholly incompatible with Canada’s defense needs pushing his country instead to move towards a deal to acquire Boeing’s Super Hornet – a fighter jet with greater air maneuverability allowing it advanced performance in air-to-air combat. That promise crashed along the shores of political reality this week as Canada reneged from its earlier proposal to acquire Boeing Super Hornet jets on an interim basis to plug the country’s air defense capability gap after Lockheed Martin threatened to pull all of its operations out of the country which would result in a massive layoff of some 10,000 employees and potentially bankrupt portions of Canada’s defense sector that benefits from the F-35 Joint Strike Fighter program. The Canadian government issued a request for information from aerospace firms about the types of fighter aircraft they could provide this week, marking the pullout from their arrangement with Boeing, with companies expected to provide initial aircraft data by July 29. The Department of National Defense plans to rewrite its requirements for a new fighter jet, said Harjit Sajjan, the defense minister for the Liberal Party government. However, the existing aircraft requirements left by the previous Conservative government of Stephen Harper are designed to favor the F-35 and any attempts to radically alter the criteria will lead to another uproar by Lockheed Martin. A spokesperson for Lockheed Martin confirmed that the company is responding to the Canadian government’s request for information about the F-35, something that it had been reticent to do prior, which signals that the fix is in and that Canada has capitulated to the defense contractor’s threats and extortion. Other contenders do exist in the process including Boeing’s Super Hornet, the Eurofighter Typhoon, the Dassault Rafale, and Saab’s Gripen so Canada may ultimately decide not to purchase the F-35 against their will despite current indications. 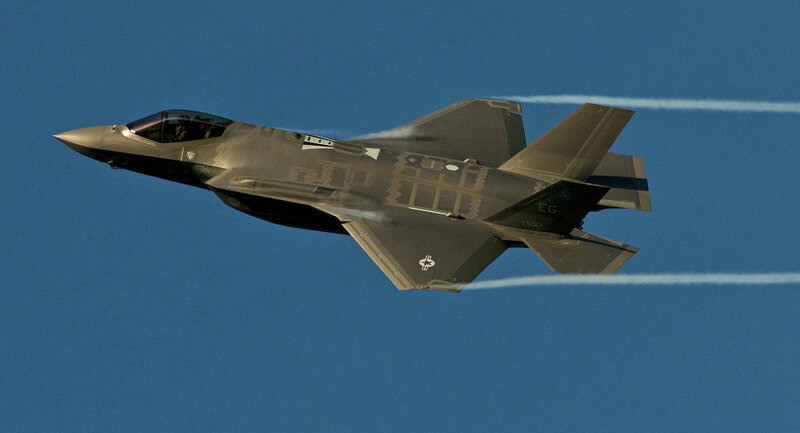 The much maligned F-35 has already cost American taxpayers upwards of $2 trillion due to its expensive and unreliable 3D-printed design along with repeated testing delays due to software malfunctions and safety hazards that have set the program back by several years. A glitch in the fighter jet’s software causes it to spontaneously shutdown mid-flight raising a host of pilot safety concerns. Those issues are exacerbated by the fact that the F-35’s Martin Baker ejection seat has been shown in testing to instantly snap the neck of or decapitate pilots under 135 pounds (61.3kg) while pilots between the weights of 135 and 160 pounds (72.6kg) are believed to also be at an enhanced risk of sudden death upon ejection.